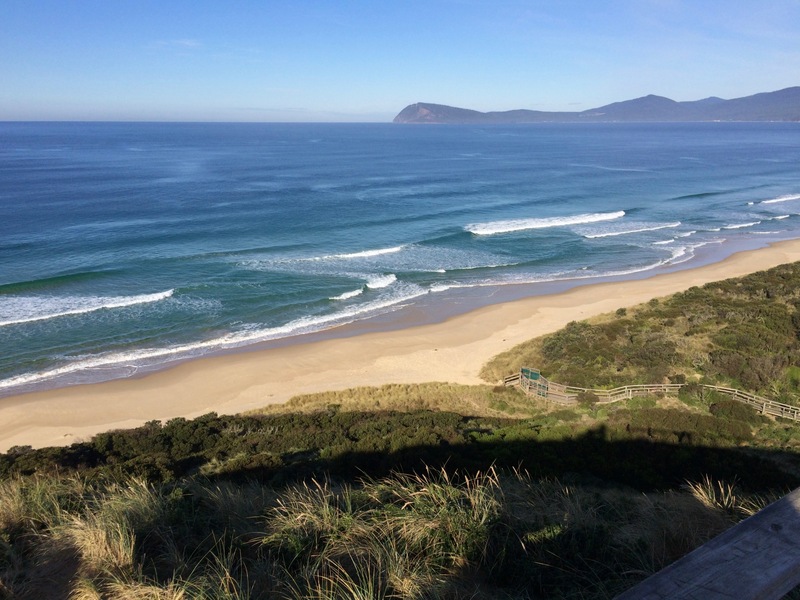 My happy place is Tasmania. This week’s photo challenge ties in perfectly with our six month anniversary of moving to this island state at the bottom of Australia. 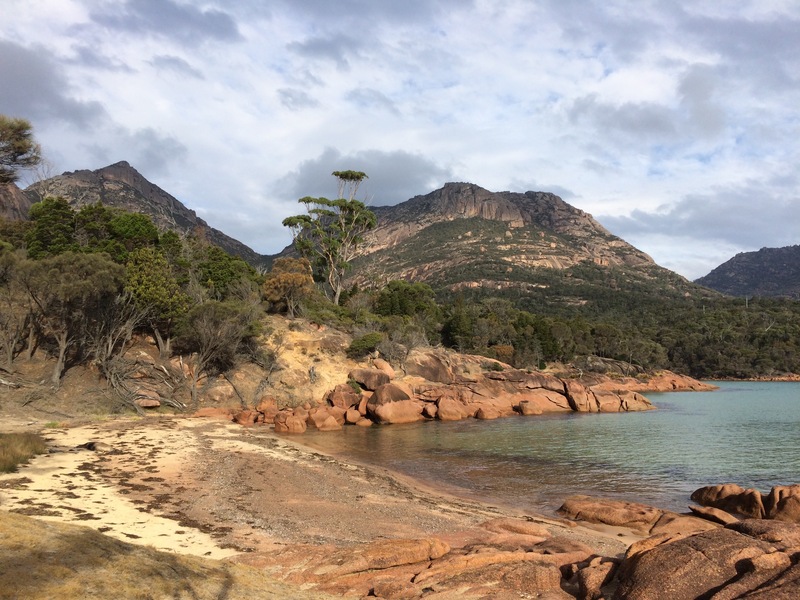 Tasmania is open space, nature, being outdoors. Ocean beaches, white sand, rugged cliffs. 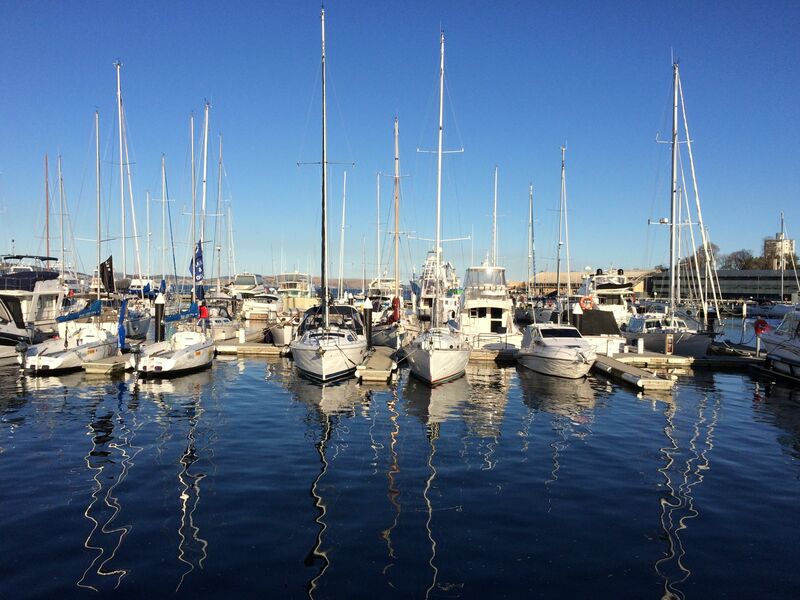 Harbours, boats and peaceful rivers. 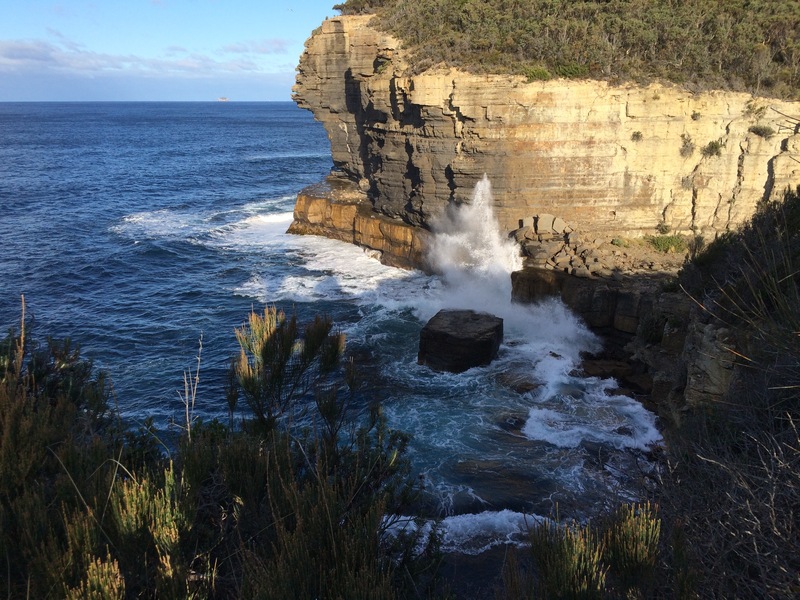 Bush walks, coastal paths, mountains and lakes. Sunrises, sunsets, rainbows and views. 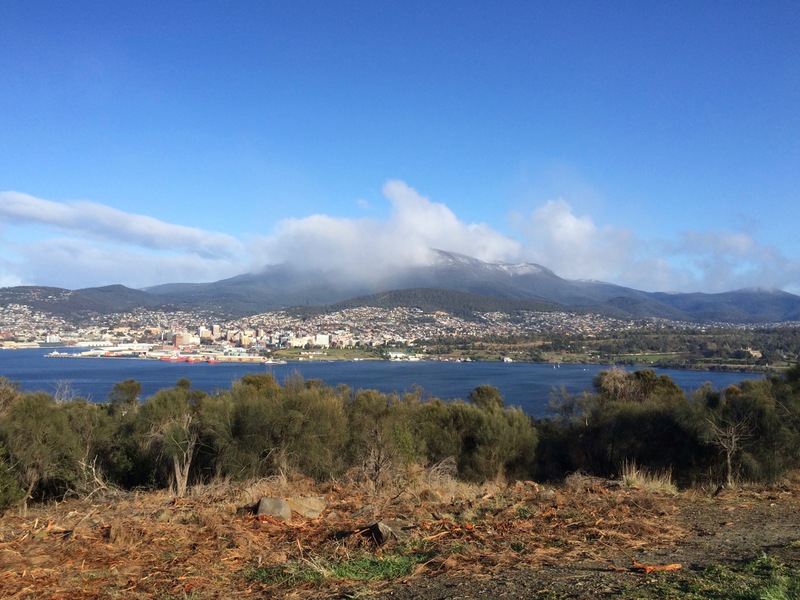 I love living in Hobart, tucked between Mount Wellington and the river Derwent. A small city with great restaurants, bars, museums and galleries, with festivals, sports, yachts and estuary beaches. I still can’t believe that I am living this life. That we turned an idea in the UK, into a dream, into a reality. I am so fortunate to be living in my “happy place”. 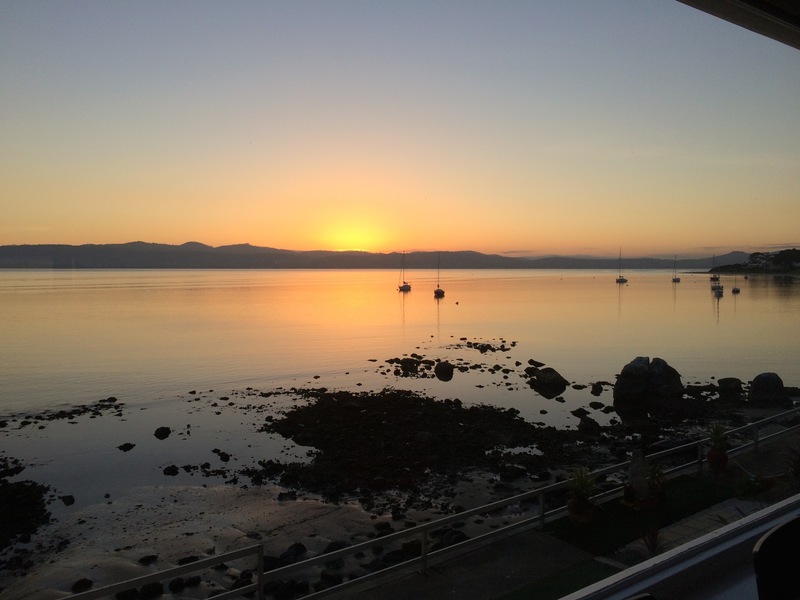 Lovely photos – glad you came here and that I met you. No colder than UK Jo! 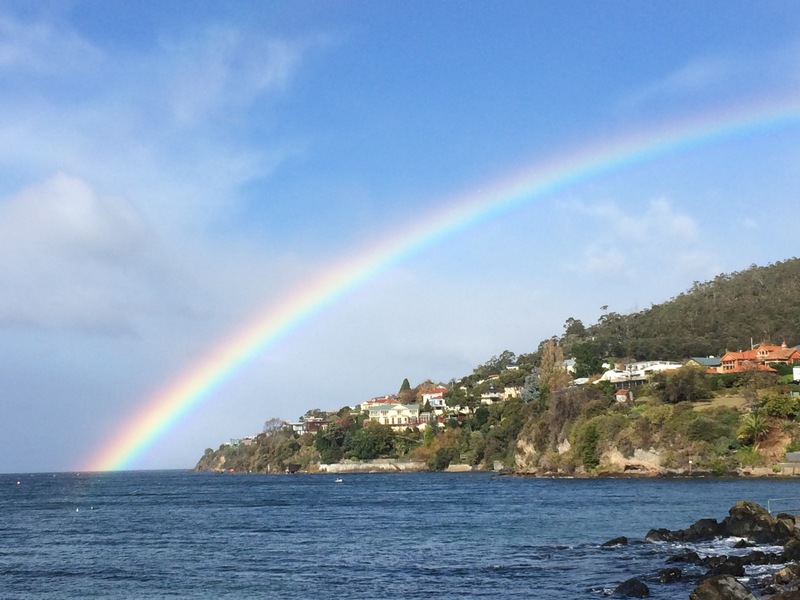 I love Tasmania too. Your photos are a lovely reminder of the happy times I’ve spent there. Glad to bring back happy memories for you. Great photos! 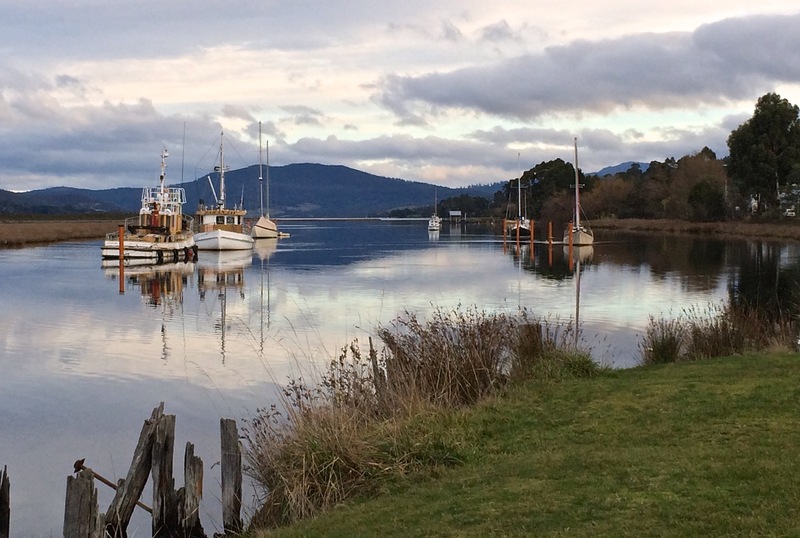 Tasmania is so beautiful I can well imagine it being your happy place. Thanks for sharing your gorgeous photos. Most people get to visit their happy place but not live there. You are one lucky woman. 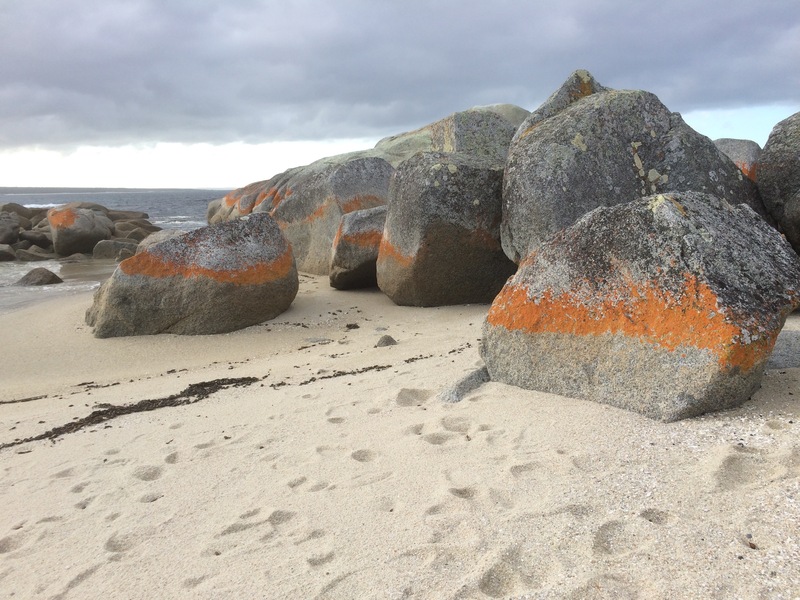 🙂 I have never seen boulders with a line of color like that – amazing. Love them all! That sailboat photo looks like a painting. Absolutely beautiful shots – well done. 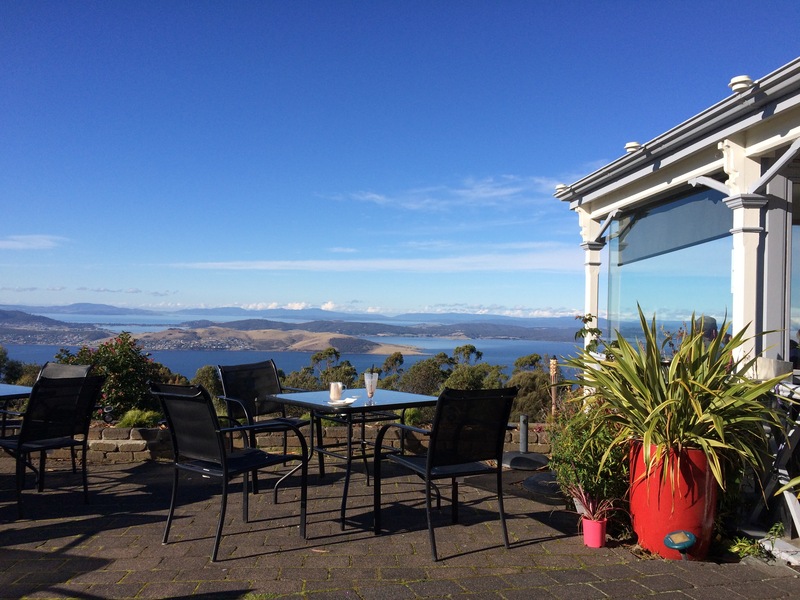 we visited Tasmania years ago but didn’t get to Hobart – a big mistake. Will have to fix it one of these days. Esp like the shot of the sailboat mast reflections. You are very fortunate indeed, it’s a beautiful place and your pictures capture your feelings very nicely. Love your latest week’s photo theme. I can’t help but concur with your sentiments about Tasmania. 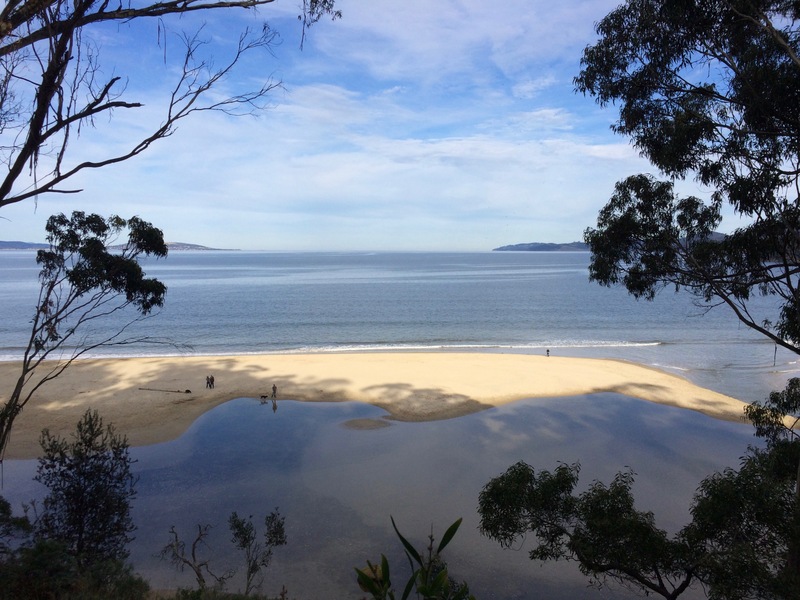 And it makes me think most of the snapshot I take are of some variation of the happy place that is Tasmania – but mine are not quality images like yours. I guess we each have our passion. Thank you. 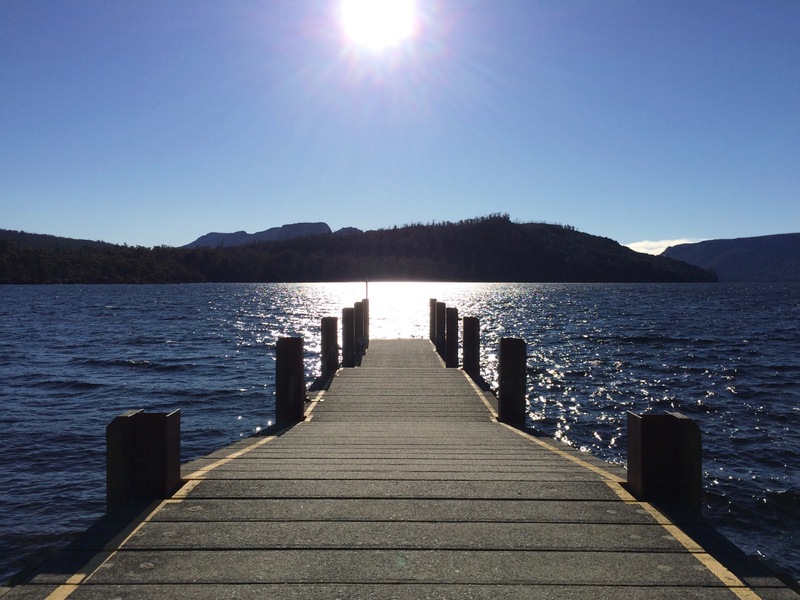 I’m enjoying following your passion and learning more about the Derwent.